The hypothesised Disease X has the potential to creep up on humanity and wipe out large swathes of the population in a similar fashion to the Spanish Flu, which killed off five percent of the global population, and Russian Flu, which wiped out a million Europeans. 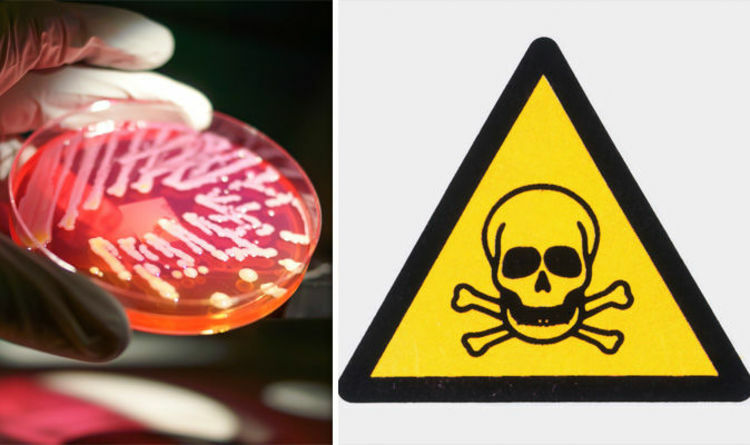 Earlier this year the World Health Organisation (WHO) declared Disease X is one of the great potential risks to life and a top priority for research. Scientists have made strides in trying to uncover the unknown and discovered two new viruses in Myanmarese bats.The viruses which were discovered belonged to the coronavirus family which have already caused two outbreaks on Earth. One is the Severe Acute Respiratory Syndrome (SARS) which infected about 8,000 people in 2003. The other is the Middle East Respiratory Syndrome (MERS) which has a 35 percent mortality rate and was first identified in 2012. He adds that the next diseases will likely come from Asia or Africa as these are the places where humans are most rapidly destroying the environment. He said: “We are seeing once pristine forests under threat for increased development, which brings wildlife in these areas in close contact with humans. Now the Museum of London is showcasing an exhibition which highlights the perils of Disease X, opening November 16. However, Vyki Sparkes, co-curator of ‘Disease X’, said that not all is doom and gloom and says new technology and medicines will help us cope better with a future unknown outbreak. She said: “While there is a very high probability that the next big epidemic will come from a totally unexpected source, this is by no means a completely bleak story. “London is very well prepared for any potential outbreak and its ongoing medical surveillance is scrupulous. “Also, we can look back to several success stories. In the 18th century, smallpox killed between 8 and 20 percent of the population of London. “It declined in the late 18th century as vaccination was introduced and was completely eradicated in 1980. “Similarly, cholera has not returned to the capital since 1866, after the great engineering feats of Joseph Bazalgette that transformed the sewer system.